If you can’t measure it, you probably can’t manage it… Things you measure tend to improve. As imaging marches on from a paradigm of volume-based operations to one of “value based imaging,” traditional measures of success in radiology—such as number of studies read per a given period of time or the report-turnaround time (for a radiologist, a division or group)—are becoming increasingly insufficient and less relevant. In the last 2 decades, the embracing of the digital imaging era saw rapid improvements in productivity across radiology groups, as they moved from a film- and paper-based environment to the current reality of picture archiving and communication systems (PACS) existing side by side with radiology information systems (RIS), advanced visualization (AV) systems and other tools such as voice recognition (VR) that have, in most instances, improved productivity and report-turnaround times. We, as an industry, have in large part been good at measuring and (consequently) improving these volume metrics. However, as we transition to “value-based imaging,” there is more work to be done in not just defining and quantifying value but also in measuring less straightforward metrics that equate to value. Therein lies a tremendous opportunity for us radiologists to embrace the power of analytics to derive newer insights into measuring and improving the value that we bring forward. The success of imaging may well be hinged on measuring these value-based metrics and improving them. You can, after all, only improve what you measure. The Patient Protection and Affordable Care Act (PPACA) of 2010 has provisions for the development of accountable care organizations (ACOs) and represents one of the most significant regulatory overhauls in the United States (U.S.) health care system since the passage of Medicare and Medicaid in 1965. Accountable care entails a keen focus on quality, outcomes, and costs across the entire care continuum, and continuous quality improvement is a linchpin that will enable better clinical outcomes at lower costs. The ACO initiative has the potential to remake the way health care is delivered, incentivizing physicians and health care providers of all types—hospitals, clinics, long-term care facilities and others—to work together across the continuum of care to improve health outcomes and generate shared savings. The newer care models being propagated forward by accountable care define the very essence of value-based care, across the trifecta of quality, outcomes, and costs.1 With a renewed focus on a holistic, patient-centric approach to care in imaging, the true “value” generated by imaging should then rightfully equate to the summation of superior outcomes, patient-centered care, and efficiency at lower costs. The key to success in value-based imaging then may be in defining and creating a sustainable value-quantification framework that focuses on analyzing and measuring a number of key metrics across the imaging value chain that spans the continuum from ordering of studies to protocoling and acquiring the images, to reading, report distribution, collaboration with the care team around the patient, and tracking outcomes and satisfaction.2 These metrics include clinical quality metrics, business growth metrics as well as a number of key service metrics that look at utilization management, care coordination, and referring physician and patient satisfaction. The era of accountable care calls for radiologists to be fully engaged with emergency physicians, hospitalists, and primary care physicians (PCPs) as part of a collaborative solution towards appropriate image utilization and improved outcomes. The key too is in being able to leverage analytics to actually quantify and measure these newer metrics so we can improve upon these and incentivize the appropriate entities to create a sustainable model of health care. Radiologists have always served as strong albeit silent patient advocates around imaging appropriateness. But as health care organizations move from fee-for-service models to fee for value, the value needs to be quantifiable and measurable so as to really matter. In guiding and defining the future of radiology, the American College of Radiology (ACR) continues to seek to affirm the role of radiologists as physician consultants.3 The ACR’s Face of Radiology campaign conveys to patients that the “radiologist is the physician expert in diagnosis, patient care, and treatment through medical imaging.” This is an opportunity for us to really leverage analytics to define, refine, and fine-tune the delivery of radiology services and their associated value. We are increasingly finding ourselves to be in an environment where we are data rich and information poor. Over the past decade and more, we have made steady progress to move from paper and film to digital and filmless. However, we still find ourselves struggling with multiple disparate silos of data that do not do much more than just sit there and collect even more data. Often, these data silos have elements of proprietary standards that lock the data to the application layer from their respective vendors. The movement of the data is also highly unidirectional and unextractable. Often, the data is far from liquid, and that is a problem. In a KLAS Research study on Accountable Care that looked at the information technology (IT) solutions needed for an ACO,4 analytics was at the top of the list. Another study that delved further into “obstacles to widespread analytics adoption”5 saw the ability to get the data as being the leading limitation. Data interoperability is not just a nice-to-have feature anymore; it is a strategic imperative. It’s encouraging to see the Office of the National Coordinator (ONC) pushing for wider adoption of data exchange standards as part of the Meaningful Use (MU) initiative. Achieving a level of data interoperability enables a number of key functions that essentially are performed at the “above the electronic health record (EHR) level,” such as enterprise analytics. Data from multiple disparate information systems need to be woven together to derive meaningful operational and clinical insights that drive actionable workflow. Technological capabilities around data analytics have progressively improved in capability and capacity. Health care has also in the recent past been learning from other industries where business intelligence is actually deemed a basic requirement. In addition to the technological capabilities, the context of business intelligence is critical too, with relevant information presented at the right point in the care-delivery cycle. 1) Descriptive [React] We have, as an industry, been fairly adept in using certain aspects of descriptive analytics, albeit in a segregated manner. Descriptive analytics allows for a more retrospective analysis and enables dashboards, drill down capabilities, and alerts. 2) Predictive [Control] Forecasts, simulations, and predictive models allow for an impressive level of analyzing what might happen next. There is much opportunity for us in imaging for concurrent analysis that enables not just real-time tracking but analytics-enabled decision support. 3) Prescriptive [Optimize] Better optimization of resources as well as deeper insights can be garnered through capabilities, such as linear and constraint programming. Prescriptive analytics can also be aided with better data mining, enabling proactive interventions that improve patient outcomes and financial performance. Mathematical modeling married with derived knowledge allows for insightful predictive and proactive measures. We are witnessing the evolution of analytics capabilities in health care pushed, in large parts, by industry challenges and pulled, in most parts, by value-based health care. Standalone tools that garner a focused level of insight into traditional volume-based metrics are not enough, and we are seeing broader capabilities that are able to leverage multivariate data from data warehouses expressed in much more real-time and distributed methodologies. As new value metrics around quality, outcomes, and costs become better aligned with patient-centric workflows, we will see a tighter integration of data driving intelligent decisions, but embedded into the fabric of the workflow, with technology becoming more invisible to the end users. Shrestha RB. Accountable care and value-based images: Challenges and opportunities. Appl Radiol. 2013;4:19-22. Big data: The next frontier for innovation, competition, and productivity. McKinsey Global Institute. June 2011. Hilbert M, Lopez P. The world’s technological capacity to process information. University of Southern California. Accessed February 11, 2014. http://martinhilbert.net/WorldInfoCapacity.html. Laney D. 3-D data management: Controlling data volume, velocity and variety. Meta Group (Gartner). February 6, 2001. Watson as a service: IBM preps AI in the cloud. InfoWorld. Updated November 15, 2013. Accessed February 12, 2014. http://www.infoworld.com/t/cloud-computing/watson-service-ibm-preps-ai-in-the-cloud-230901. Enterprise Imaging: Analytics and value-based imaging. Appl Radiol. 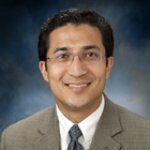 Dr. Shrestha is the Chief Innovation Officer at University of Pittsburgh Medical Center, Pittsburgh, PA, and Executive Vice President of UPMC Enterprises. He is also Chair of the RSNA Informatics Scientific Program Committee; a Founding Member of the Executive Advisory Program, GE Healthcare; a member of the advisory boards of KLAS Research and Peer60; a member of the Board of Directors of the Society for Imaging Informatics in Medicine; a member of the boards of Pittsburgh Dataworks and Omnyx Inc., and a member of the Applied Radiology editorial board.